Event planners must develop comprehensive data usage strategies if they are to succeed in a world of big data, according to speakers at an MPI Insights event. 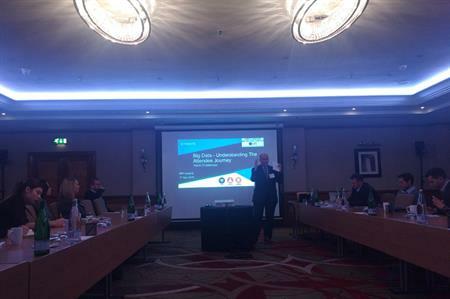 Speaking at an MPI Inights event yesterday, chaired by CWT's vice president EMEA, Ian Cummings and Cvent regional sales manager, Kevin Christensen, the two companies agreed that while data is becoming more readily available, it isn’t always being properly utilised. "We’re currently in unchartered waters, with Brexit in the UK and the rise of Donald Trump in the US," said Cummings. "Attention spans have dramatically decreased and change is constant, with new technologies coming in all the time." He added that the key to all of this is learning how this technology can impact engagement and affect ROI. "There is a massive amount of data around. From pre-event information to post-event feedback, plus so much information on individuals. Event apps are being developed all the time, with more than 300 currently available in the events market. What we need to be doing is developing data strategies, to assess what we want to know and how we can find this out with the technology available to us?" Adding that ‘there’s no point gathering data if you don’t know what to do with it’, he said a strategy was integral to improving events year-on-year. "For example, lots of companies go to tender on the same event every year. I can understand why they do this, for cost and procurement processes. But if an agency has successfully run an event, they will have a huge amount of feedback and data on this event and how to improve it for the following year. In many ways it makes more sense to develop your processes with one agency." Meanwhile, Christensen pointed out that many companies didn’t fully understand the point of data collecting technologies, saying that the cost is too high. "If you want to add a chip in a delegate badge to obtain information, it doesn’t actually cost that much," he explained. "It can add up for really large-scale events that cover a wide area though and this may be deterring some people." However, Cummings said that value of data significantly outweighed the cost. "As we progress in the tech industry, the price point of all this technology is coming down anyway- so I don’t think it’s something that should be a primary concern. It’s an investment that pays back."